Raise your hand if you haven’t heard of coolsculpting. Anyone? Just as I suspected…crickets. Coolsculpting is so prevalent on every billboard, every commercial, and every internet ad that you probably have to exert energy simply to avoid seeing its recognizable blue logo and catchy “freeze fat away” tagline at every turn. If you’re like most people, you also probably assume that if you see it everywhere, it must be good. As a professional marketer, I interpret that slightly differently – I see it as a big budget. In advertising, money talks and the ads you stumble upon the most are the ones with the highest dollar amounts thrown at them. In other words, coolsculpting isn’t superior to any other procedure that produces similar (if not better) results. That said, the outrageous budget attached to coolsculpting means that the proverbial door is also opened for people to explore other options that may better suit their fat removal needs – like HD Bodysculpting. In this post, we’ll compare the differences between the two procedures so that you can decide which is a better choice based on your goals for fat removal. Before diving head first into pros and cons, let’s start by identifying what these procedures actually do and how they’re performed. In a nutshell, coolsculpting uses specific technology designed to target and freeze/kill fat cells in small areas. These dead fat cells are then metabolized and excreted by the body. HD Body sculpting is a procedure in which a small cannula is used to infuse a solution containing a lidocaine mixture (a local anesthetic to numb the area) through strategically placed incision sites (about the size of a pencil eraser). This mixture separates fat cells from the wall of the fascia and then these fat cells are vacuumed out and permanently removed. Coolsculpting is non-invasive meaning that no incisions are created, and the outer layer of the skin isn’t punctured. However, due to the nature of the procedure, the surrounding area of the skin is affected by the freezing procedure and takes time to heal. How Invasive Is HD Body Sculpting? As mentioned above, HD Body Sculpting is minimally invasive since there are very small incisions made in specific areas to access and remove fat cells. Because it’s a superficial procedure, bleeding is minimal and there’s far less trauma caused to the body than with traditional liposuction. What Are the Main Differences Between Coolsculpting and HD Body Sculpting? There are many differences between the two procedures despite both procedures claiming similar outcomes: fat removal. Because coolsculpting is non-invasive, there’s minimal downtime. Most patients are free to resume regular activity that same day. 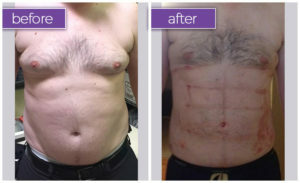 HD Body Sculpting is minimally invasive, and most clients are back to work within 24-48 hours. We also encourage clients to walk as soon as possible to promote lymphatic movement and healing. The body spends time healing the incisions and draining the tumescent fluid over the course of the next couple weeks. Coolsculpting tackles small areas at a time and multiple treatments are required to target the desired areas. HD Body Sculpting is a three to four-hour procedure in which the client is awake and clients usually resume normal daily activities (work, shopping, etc) after 24-48 hrs. Also, clients only require one treatment. Multiple areas can be treated at once. Coolsculpting’s treatment promises seeing results in at least two months, but most clients see maximum results within four to six months. HD Body Sculpting clients can lose 2-5 inches immediately following the procedure, but the sculpting results are usually fully apparent around the thirty-day mark when the body has healed. Coolsculpting doesn’t promise permanent fat removal since there’s no way to determine if the fat cells targeted by the freezing effect have actually died and the body has broken them down and eliminated them or not. During the HD Body Sculpting procedure, clients can see how much fat is being removed from their body by inspecting the canister used to harvest the fat cells. Fat cells are distributed in the body by the time people reach hormonal maturity meaning that you will never gain fat cells after adolescence. Your fat cells expand and contract depending on how much weight you gain and lose over your lifetime. 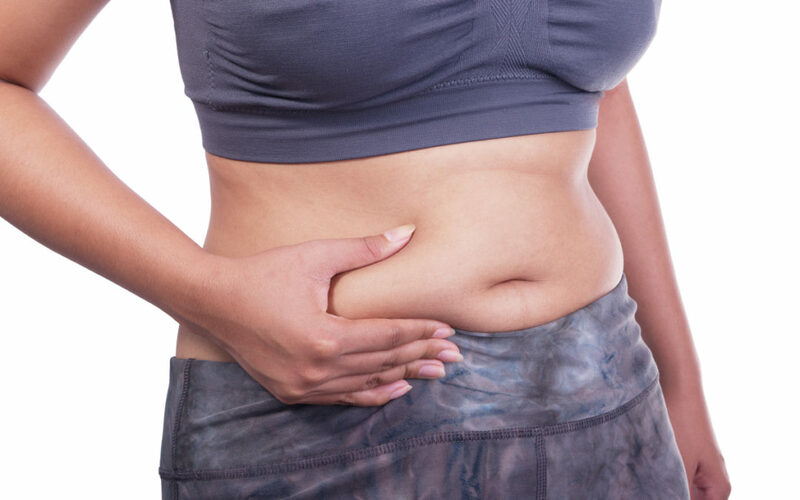 The only way to permanently remove these fat cells is to undergo a procedure that vacuums them out. In terms of pricing, coolsculpting requires multiple treatments to get desired results and only targets a small area at each time. Each area/procedure costs money to treat meaning the overall price can add up quickly and there isn’t tangible evidence of what fat (if any) is being removed. HD Body Sculpting uses trained professionals to assess each client’s body on an individualized basis. Treatment areas vary based on which surface of the body you’d like to target. Unlike coolsculpting, only one procedure is needed so there are no surprises with cost or downtime. And because the fat removal is visible and measurable during the procedure, you can literally watch as the fat disappears from your body. To book a free consult and determine if HD Body Sculpting is the right procedure for you, schedule a consultation, today!